While she always wanted to be a writer, Colleen O’Dea chased a career in Information Technology…working with IBM before starting her own consulting company and teaching as a part-time professor at Mount Saint Vincent University. Eventually, Colleen packed it all in to stay at home to raise her young family while happily volunteering in Ms. Millet’s primary class. After a divorce and a whack of changes that left her head spinning, Colleen found her voice and began writing “for fun”…totally taken back that people were reading! 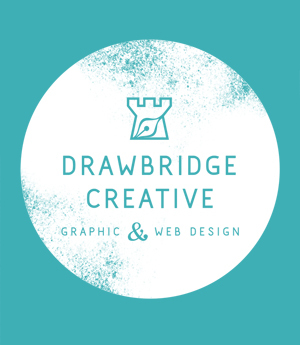 In 2011, Colleen returned to school to study Graphic and WebDesign, graduated in 2013 and began her company, Drawbridge Creative…all the while, she wrote about her adventure. Curtains are Open is about facing change…accepting it…and moving forward. Colleen writes about living in Halifax…about places she visits and the wonderful people she meets. She writes about raising teens…one who plays hockey and attends university in Newfoundland and the other who splits her time between horseback riding and volleyball. She writes about her oldest…who’s left the nest and is finding her own way in this fabulous world! Curtains are Open is about Colleen’s life…the way she sees it…surrounded by a remarkable family and a group of hilarious friends. It’s about Living Creatively. It’s about Living the Dream! For information about working or advertising with Curtains…product reviews, giveaways, local events or speaking engagements, contact Colleen at [email protected]. I have been trying to figure out how to request the template for the present you made your father. My dad’s 75th is quickly approaching. The instructions to request say to go to your blog, follow the link (what link??)….Help?! Hi – I also saw the “70 Things We Love About You” and thought it would be perfect for my mom’s upcoming 70th birthday. Can you pls provide the link and/or more info about how to create/design it. Thanks! May I please have the template to the “70 reasons” gift you gave your dad? I know it’s a crazy time of year! If you have time would love to get the illustrator file of the 70 things we love. Hi Colleen. I hope it’s ok to contact you this way. I love your 70 things we love about you and am in the process of completing this for my mother in law. I would love to use the illustrator file for the project that everyone is talking about in the comment section on pinterest. Would you have time to send me the link? I’d really appreciate it. Loved your gift to your father! Looking to recreate for my mother-in-law. Can you share your template? I enjoy your site it shows how fun a person can be not matter what life brings your way. My mom bday is this Saturday and I’m trying to put together the project you did for your father’s 70 bday party…. Do you happen to still have the illustrator file for that project? If so could you please send it to me? I would greatly appreciate it. Hi, I absolutely love your 70 things I love about…! I would like to do this for my mom’s 70th. If you don’t mind I would love the illustrator file please! Would love this file, would you please send! Thank you! I love your 70 things gift and am trying to replicate it. I see everyone is asking for a file to help them- is it possible for me to download it from somewhere? Thanks so much! Would you be willing to give me the graphic for the seventy things we love about you? I am doing it for a birthday this weekend and it would be much easier to not have to format it! Thank you so much! It’s wonderful! My mom is turning 70 next month and this is the perfect gift for her as she is a nurse and amazing friend to all. Could you please supply me with the illustrator file as well? I would so appreciate it as this gift would make her birthday! I love the 70th birthday gift you made. Could you send me the illustrator file so that I can make one for a family member turning 70? I would truly appreciate it. Hi Colleen. I came across your “70 things we love about you” post and would love to do this for my mom’s 50th birthday. Can you send me the illustrator file for the project? I saw in the comments section on Pinterest that you could send the file in response to this blog post. I would greatly appreciate it! Thanks! Can you pls send the file for the “70 things we love about you ” project? I would like to make a similar one for a friend’s 50th. Thanks! could I please plese plese have the illustrator file for ’70 thigns we love about you? I need it today though ;(. I’m desperate. I love the “70 things we love about you”. My dad’s 60th birthday is coming up and this is the perfect gift can you please email me the template?? Thanks a bunch! I’m like everyone else and requesting the Illustrator File of your 70 Things We Love About You. I want to do it for my Mom’s 60th! HI! I LOVE your idea for 70th birthday! May I please have the link? Thank you so much for sharing!! Would you also send me the file on 70 things we love about you? I would really love the “70 things” file. Perfect for our hard to buy for Grandpa! I have sent you many emails regarding you doing this project for me, but you haven’t replied. Yikes! Should I get someone else to do it? Pam…I’ve tried to email a few times now and each time it bounces back. I’ve found your FB page and send you a direct message as well but likely, since we’re not FB friends…that has gone to the “other” mailbox. Hopefully you will see this comment. I need a DIFFERENT email address than the one you provided as the emails ALL bounce back. hi! Could you please send me the illustrator file? We are wanting to do this for my mother’s 60 th bday. Thanks so much! Love your blog! I came across your “70 things we love about you” post and would love to do this for my mom’s 60th birthday. Can you please send me the illustrator file for the project? I saw in the comments section on Pinterest that you could send the file in response to this blog post. I would greatly appreciate it! Thanks! Hi, I love the “70 things we love about you” print and want to replicate it for my dad’s 75th. I am happy to pay you to set up the file or do it myself. Can you please let me know if this is something you can help with? We want to present it to him on Thanksgiving. Would love to have the template for 70 things we love about you! Hey Colleen, love your blog! I love that you’re not afraid to open the curtain and show your followers what you’re made of. You go, girl! I don’t want to take up much of your time, but I’m wondering if you can answer a few quick questions for me. I live in Ontario (very close to Waterloo, actually) and I am seriously considering starting a blog to supplement (or replace) my income. How ‘easy’ (for lack of a better word) is that to do in Canada versus the US? I keep reading about all the marvelous ways to monetize a blog, but the articles are all written for the US. Are we more limited in the ways we can monetize our blogs up here or is it more difficult? Do you work on your blog full-time? Can I ask if you make a part-time or full-time income? Do you know of other Canadian bloggers who earn a full-time income blogging? It’s not just a pipe dream?? Thanks so much, Colleen. Any info you can offer this fellow Canuck would be greatly appreciated. Hi Kim…I guess for me, I started writing just to write…I honestly didn’t know you could make money from blogging. I was a few years into it before I had a few ads on my site (local companies) and then a few more before I won a few awards. Once that happened and I had an audience built up…then a few PR companies started reaching out and I began pitching myself to local folks. It’s been hard work and the income supplements the work I do full time as a Graphic Designer. For me, the writing is always first and foremost…I blog because I absolutely love to tell a story. The money I make is an added bonus. I will say, I turn down many more sponsored opportunities than I take…as anything I write about really needs to suit me and my audience. I get quite a few emails every day asking me to write about a product or service…but if it’s not something that I’d use or purchase as part of my life, I turn it down. I also get a TON of folks asking me to write for free or to write for a product they want to give me…but I’m not interested in that either (unless someone wants to give me a hot-tub…then I’m all in!) I work with brands that I’m already using and are already part of my life…and I’m fiercely proud of the companies that have chosen to collaborate with me. I work on my blog a LOT. There are definitely many Canadian bloggers who are doing much better than I am and they’ve found the “secret” to blogging to make money. I’m just writing…telling my stories…and when something comes my way that works, it’s quite wonderful to make a few dollars doing something you love. Would you be able to send me the illustrator file? I would appreciate it so much, would love to do it for my grandpa’s 80th birthday next week!